The rise and fall of personal computing | Laurent Maumet. Changes are occuring faster and faster in tech world. I love this chart from asymco.com, because it shows in 1 page this acceleration. 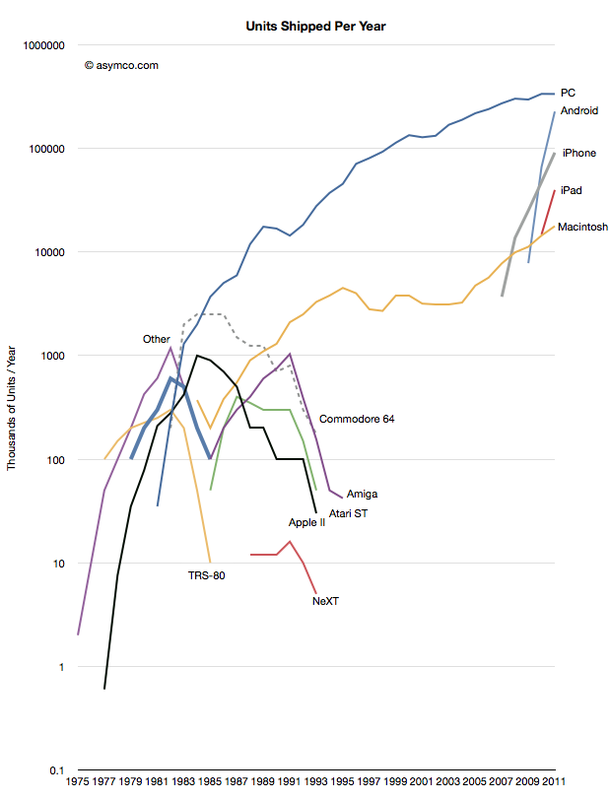 The Y scale is a logarithmic scale and even like this we can see that Android and iPad growth is just crasy compare to the whole history. It shows also very well ho ;obile devices are boo;ing and are now more important than traditionnal personnal computing devices (PC, Mac). Where will it stop ?